One of our most popular, this is among the cutest birdbaths you will ever see! 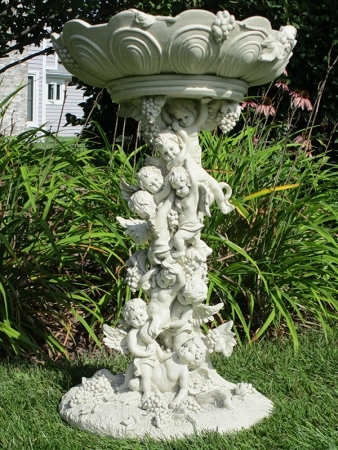 Playful cherubs frolicking in the summer sun creates the pedestal of this unique birdbath. 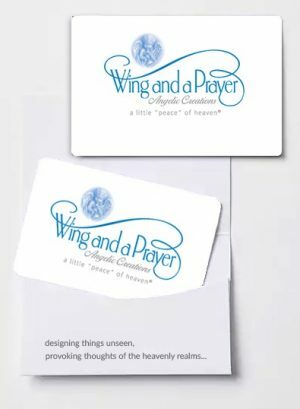 PLEASE CONTACT US AT: customerservice@wpangels.com for complete details. 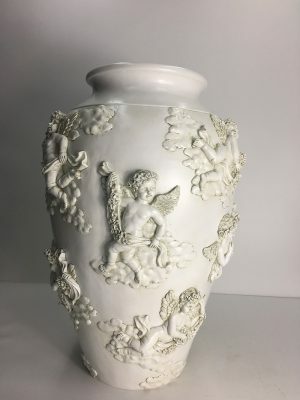 Each one trying to be on top, they create an “angelic” pyramid which holds the beautifully adorned bowl. Grapevines, grapes and ribbons complete the décor. You won’t believe how real these little guys look! 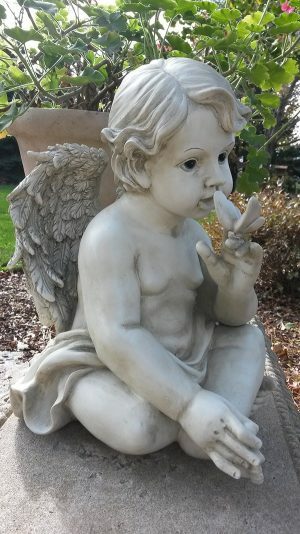 Curly hair and a chubby tummies make this a birdbath too cute and functional to pass up. 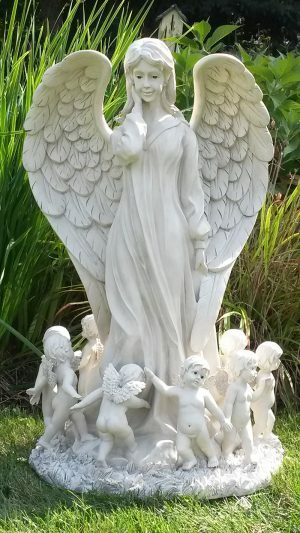 Meticulously sculpted and cast using the highest quality fiberglass resin. All of our birding products are lead and cadmium free. Birdbaths knock-down for easy cleaning and storage. Available in Antique Stone. Apx. Dimensions 24”W X 36” H.